I drink margaritas year-round, but they taste best in the summer. 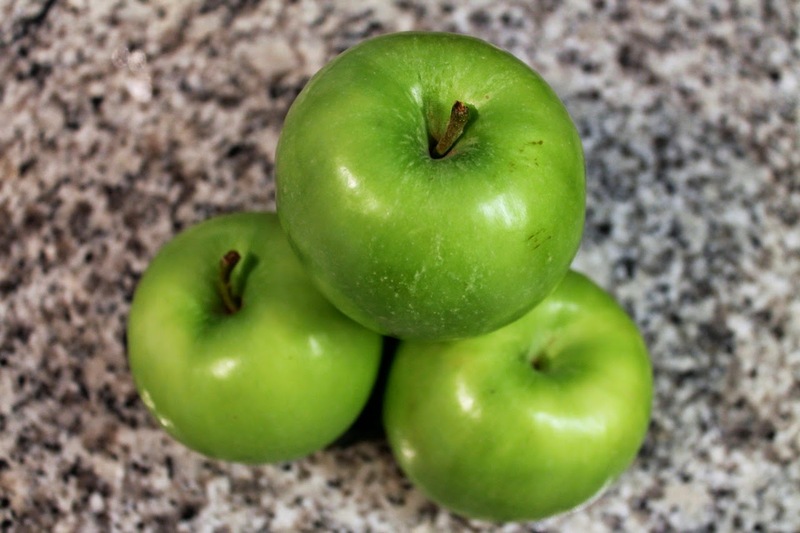 Apples come into season in the U.S. in the fall, but can (and I think should) also be enjoyed year-round. Thus, there's no reason why the tart brightness of a Granny Smith apple can't find it's way into a refreshing margarita. While you can buy a sour apple liqueur, I find it unappealing (a friend recently likened it to a Jolly Rancher). It's pretty easy to extract fresh apple flavor. 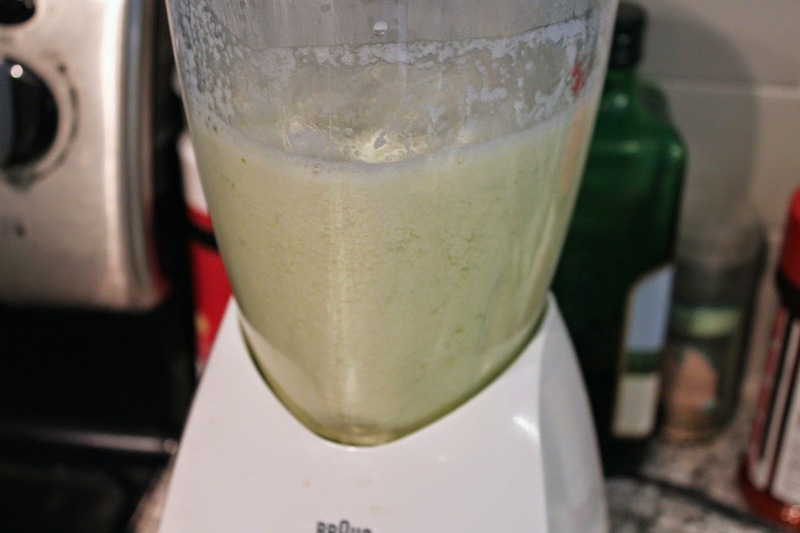 Here, I've used a blender to puree Granny Smith apples while also mixing them with agave nectar to form a syrup--basically an agave-sweetened apple cider. You don't have to peel the apples--the peel reminds behind with the pulp during the straining. If you want, you could strain with cheesecloth, but it would take longer, and I don't mind a little cloudiness in this drink. 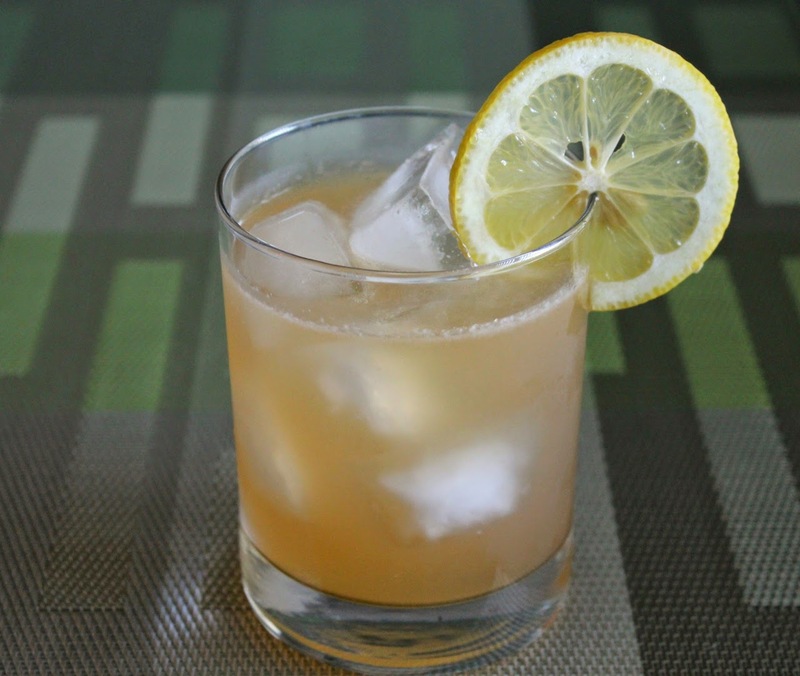 This technique was inspired by Jeffrey Morgenthaler's recipe for making ginger syrup, which uses a similar technique to blend fresh ginger with sugar. Morgenthaler just released a great cocktail book, The Bar Book, which I'll talk more about soon. I used blanco tequila (sometimes called silver tequila) for its clean profile. Instead of the usual orange liqueur, I went with ginger, which complements apple so well, and a couple dashes of Fee Brothers whiskey barrel-aged bitters, which have a noticeable cinnamon flavor that's perfect in this drink. Enjoy an apple margarita while eating Chicken and Apple Tacos. Combine ingredients (except the garnish) in a shaker with ice. Shake until cold and strain into a rocks glass filled with ice. Garnish with lemon wheel. 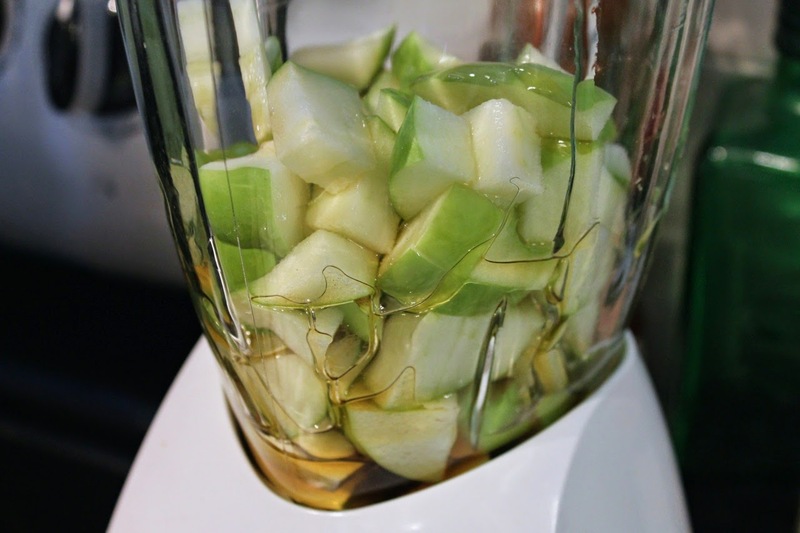 Combine apples, agave and boiling water in a blender. Blend at high speed until very smooth. 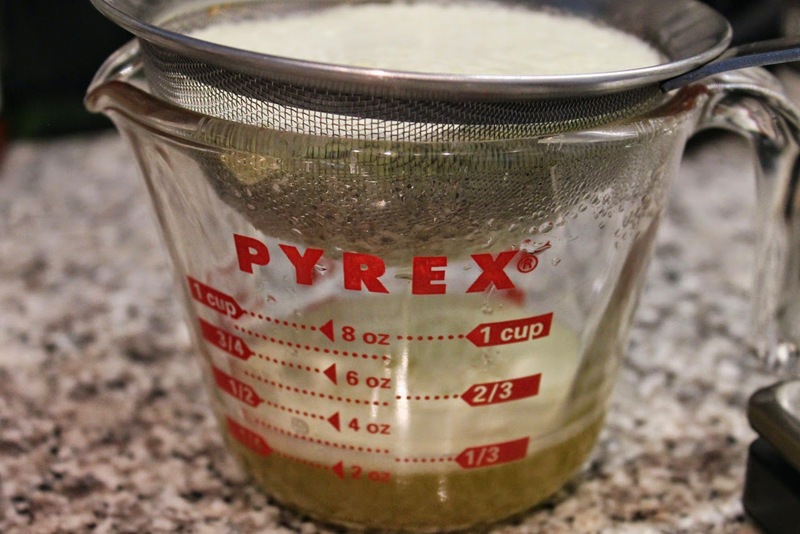 Strain through a fine-mesh sieve. Yields about 1 cup (8 oz.). This post reminds me how margarita-deficient I feel these days. Let's change that this weekend.